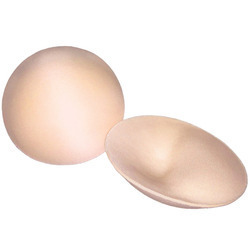 We are a leading Wholesale Supplier of imported round bra cups hard, interlock cups, imported round bra cups, bra cups laminated, imported bra cups and bra cup slide/02 from New Delhi, India. 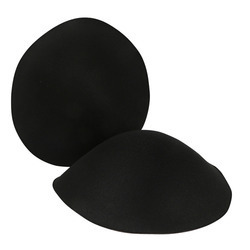 We are well-reckoned for offering Imported Round Bra Cups Hard. These are fabricated using high-quality fabric and other allied material which procured from reliable vendors of the market. Our offered range is appreciated for its skyrocketing features and cost-effectiveness. Available in various designs, patterns and can be custom tailored as per the given specifications of the clients. 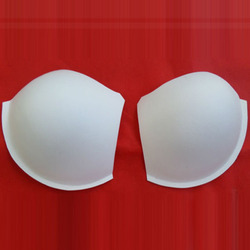 Moreover, we offer these bra cups at industry leading price. We are counted amongst as the noteworthy firm providing a high-quality range of Imported Round Bra Cups. This bra cup is designed using supreme quality foam & fabric and latest techniques in accordance with international industry parameters. Provided bra cup is passed through predefined parameters of quality check to offer defect free range. Offered bra cup is widely appreciated by our female clients for its comfort fitting. 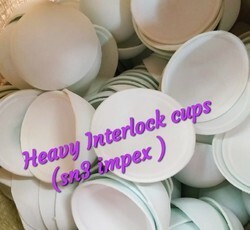 We are offering our clients an excellent quality range of Bra Cups Laminated. Available in various shapes to meet the specific needs of our clients, this bra cup is designed making use of premium quality foam & fabric and contemporary techniques. The offered bra cup is precisely checked on predefined quality parameters to assure its quality. We offer this bra cup for our clients at reasonable prices.